After two years of study and reflection, Holy Family Catholic Parish last weekend unveiled a preliminary Master Building Plan for future parish facilities. The Master Building Plan is only one of many outcomes currently being implemented from the work of more than 100 members of the parish in the development of a Long Range Pastoral Plan completed in December 2005. The Master Building Plan calls for the construction of a new 600 seat Church, Parish Hall and Religious Education Center/Parish Office building to be constructed in the area between Fourth and Fifth Streets and Maple and Union Street. The 15 member Building and Grounds Planning Action Team has guided the development of the Master Building Plan with the help of the architectural firm, Graham and Hyde, Inc. of Springfield, IL. Other features of the new church will include handicap accessibility and parking, better lighting and more comfortable seating and kneelers. Statues of prominence of Saint Mary and Saint Patrick will be placed on the property where those churches once stood, remembering the significance they have had in our Roman Catholic history in Lincoln. In late May, three-dimensional illustrations of the church will be unveiled. 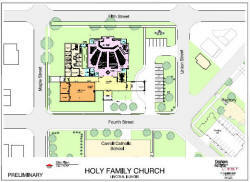 After the illustrations are complete, the parishioners of Holy Family will have the opportunity to attend one of several presentations to learn more about the benefits of the new facilities and how the new facilities will help the parish to better minister to the parishioners. 1. Why was renovation of the current church not chosen? A very through study of the existing church was conducted including expert input from a structural engineer, tuck pointing expert and our architects. Renovation of the current church would not allow us to adequately address the needs of our community. Some of these include gathering space, restroom facilities, future expansion, and seating that is more properly spaced. The study also revealed that while not cause for any immediate alarm, there are some structural concerns that would be cost prohibitive to correct. It is estimated that the cost of a new church would be only twenty-five percent more than renovation. 2. Who does the parish serve? 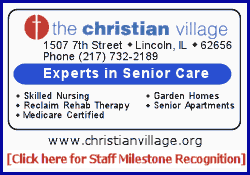 Holy Family Parish serves Roman Catholics in Lincoln, Mason City, Middletown, San Jose, Broadwell, New Holland, Beason, Greenview, Fancy Prairie, Chestnut, Emden and Hartsburg. 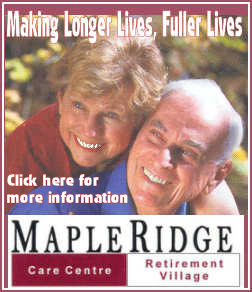 We are a community of 955 families totaling more than 1,900 members. 3. Will the project be done in phases? Yes. This is the strength in developing a Master Plan. The design allows for the project to be built in phases over a number of years with provisions made so that the entire facility will have a similar look and feel. 4. What about Carroll Catholic School? Carroll Catholic School is a significant ministry in our parish. Many improvements have been made in the past three years including renovated classrooms, restrooms, computer network and lab and gymnasium with a new state-of-the art wood floor. The final plans of the church will provide for better handicap accessibility to the school entrance. 5. What buildings will be raised for the construction? Two houses owned by the church at 113 and 123 Fifth Street as well as the current Parish Religion Education Center at 109 Fifth Street will be raised to make room for the new facilities. Currently the property at 109 Fifth Street serves as the Religious Education Center and Food Pantry, which will be relocated to other properties owned by the church during construction. An accurate preliminary cost of the project will only be available after the completion of the schematic design process and the decision of which phases to begin with. 7. Who has the Pastor consulted with as he worked through the decision making process? Father Lee has worked closely with the Parish Council, Finance Council, the Building and Grounds Planning Action Team. In addition, 18 parish groups were consulted about their space requirements and storage needs. On the diocesan level, the Diocesan Building Commission also has been consulted to assure that our plans meet with the guidelines established by the United States Conference of Catholic Bishops.